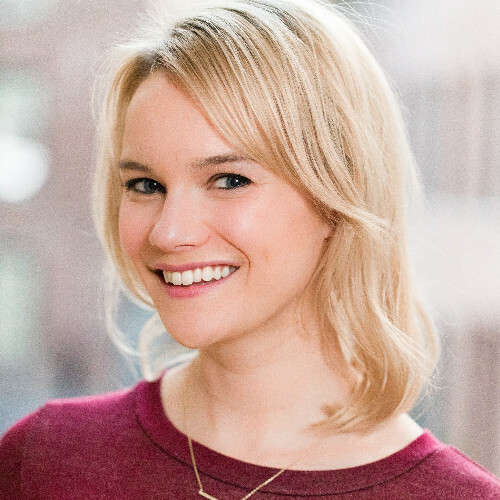 Emma Brudner is currently the Director of Marketing, Blog and Community at HubSpot, a publicly traded marketing technology company that makes marketing, sales, and support software. The HubSpot content team is a powerhouse. According to a recent interview with Emma, they’re putting up over 5 million visits a month and experiencing roughly a 35% year over year growth. She’s a master of process, scale, and quality content output, as is evidenced by her work and results at HubSpot (where the blog still drives the majority of the leads for the company). Before running the whole blog team, Emma was the first writer dedicated to the HubSpot Sales blog, where she grew traffic over 500% before hiring other writers to work on the blog. She’s passionate about management, marketing, and cats. You can follow her on Twitter at @emmajs24 or on LinkedIn here. How did you get into professional writing and content marketing? I was an English major in college and always knew I wanted to write professionally. At first, I thought I wanted to be a journalist, but over time I realized that the results of writing (for example, traffic, shares, etc.) were more exciting to me than the process of writing. That’s what pushed me in the direction of content marketing. How do you look at the supposed dichotomy between quality and quantity in content marketing? With HubSpot’s massive production scale, how do you maintain a high standard of quality? Without quality, you don’t have anything. Quality always has to come first in any content strategy. However, there’s a threshold of quality after which investing more time results in diminishing returns. For this reason, once writers are turning in consistently high-quality work, we start to work on speed, and recognizing when the right time to “just ship” a post is. We also talk a lot about the results of our work — is your time better spent making this post absolutely “perfect” (and I would argue there’s no such thing when it comes to creative products) or starting work on another one that can capture totally new search traffic? How do you ensure the quality is good from guest authors? More than that, how do you ensure you’re not wasting tons of editorial time cleaning up guest content? Have you built any documents, processes, or guard rails which have saved you a lot of time? We don’t tend to accept many guest pitches primarily for this reason. It’s generally faster to us to write something from scratch internally than outsource it and go back and forth with edits. Another reason we don’t accept much guest content is because of the sheer amount of ground we’ve covered in 12 years of blogging — it’s a challenge for external folks to find a “gap” topic that they can fill. Google ranks content based on what best matches the searcher’s intent. With that in mind, the best content writers are ones who can put themselves in a searcher or reader’s shoes and write the content they need to read vs. what the writer might want to write. What skills do you think are underrated when it comes to managing a content program? Things are constantly changing in marketing, and you can’t hold any editorial strategy sacred if you want to be successful. Just because something was a good idea three months ago doesn’t mean it’s a good idea today — and that’s okay. Anyone managing a content program needs to be paying attention to shifts in content discoverability and consumption, and be willing to reexamine their best practices accordingly. Again, it goes back to empathy and looking at the topic from the reader’s point of view. If I can write the piece that’s going to be most helpful to the reader, then my piece will perform. What are the reader’s challenges? Do they want quick advice, or do they want a more in-depth explanation? Do they appreciate a friendly tone and some lighthearted humor, or do they just want the plain facts? Is there a particular format they prefer (video, text, audio, etc.)? This isn’t weird, but I do take exercise pretty seriously. When I don’t go to the gym for a few days, I can really see the negative impact on my performance at work. In a similar vein, I almost never stay up past my (early) bedtime for work. I really believe that taking time for physical well being and not working crazy hours weirdly makes me more productive and effective. Whoever your target audience is, do a deep dive into their motivations, challenges, fears, etc. Read books, interview people, go to events. Anywhere they are, you should be too. To make sure your post is comprehensive enough, try to read it through the lens of someone who has no familiarity with your topic. Could they come away with any questions about the how, why, what, or so what of your topic? If so, go back and address them before they even have to ask. Make sure you’re not making unfounded claims — even if they seem self-evident. Writers need to earn readers’ trust, and you do that through making sure your claims are accurate and credible. For example: consider the difference between “Blogging is great” and “Blogging is an effective strategy for generating leads, according to XYZ study.” In an age where people are playing fast and loose with information, taking the time to do your research does a lot to foster trust. Emma talks about content quality being table stakes, but she also says there is a point of diminishing returns, when you just need to ship a post. That’s true, and it’s true of almost any creative endeavor. However, this is especially the case when you have the assets that HubSpot has. Essentially, a huge site with lots of authoritative blog posts and domain authority makes it easier to rank for new posts in the future. If you’re starting a new blog, you may well need to rely on 10x quality to even stand out. A great blog post on this topic is by Atrium, where the author talks about how SEO differs from seed stage startups to scaled out operations. At every level, there’s a point of diminishing returns, and that point occurs even faster if you’re a super authoritative site. It does seem that empathy is a prerequisite of good writing. Other than the psychological ability to feel what your readers feel, how can you tap into their minds to write better content? You can also dig into insights that already probably exist within your company. A good place to start? Talk to people who work in customer facing roles like sales or support. Figure out what questions come up frequently. Find ways to answer those questions through content. Another place? User experience research. You can throw a Qualaroo poll up on your blog pretty easily to gather feedback directly from site visitors. You can get tons of ideas on how to improve your content there.